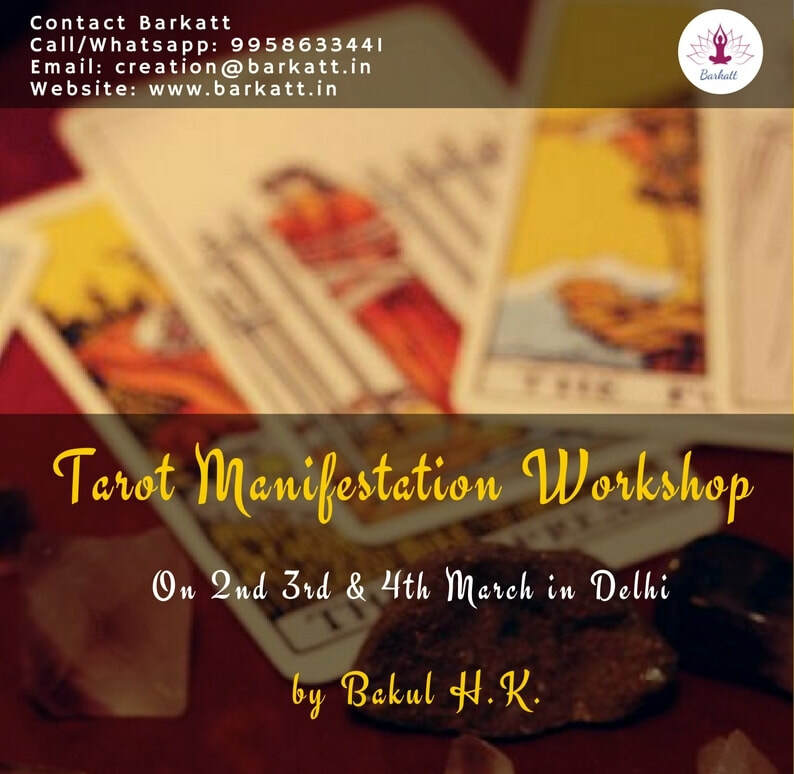 In this workshop you will explore how to work with the tarot archetypes and how to use their true potential to create & manifest magic in your universe. By working with tarot as a spiritual tool, we can gain an awareness of the power of the combination of tarot symbolism and the magic of intended manifestation. Bakul H.K. is an Angel intuitive and an Advance Angel certified practitioner certified by Dr. Doreen Virtue and her son Charles Virtue. He is also a Tarot and Angel Card Reader, Theta Healing and Rising Star Practitioner. He also conducts Past Life Regression Sessions and work with other Healing Modalities. His journey into spiritual world has been through years and life times. He has conducted quite a few Access Bars and Angel Healing workshops all over INDIA. Bakul H K is an intuitive person & has been on the spiritual journey since a long time. He believes that he is the chosen one for being a mediator to help people realize their true potential & make their lives worth living. Bakul strongly believes in Selfless help & has touched the lives of thousands of people, making a difference in their lives. ​Bakul has worked with people from different backgrounds & cultures thereby making him a people's person irrespective of caste, creed, culture or gender. He has worked on various issues like people suffering from ailments to people with relationship issues to people with abundance issues. He is a mentor to many & his healings are miraculous.